The emoji are spread across various categories like nature, people, and symbols. 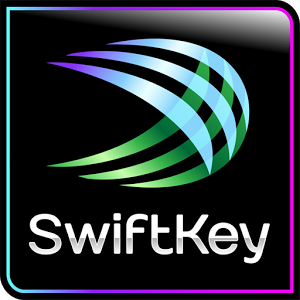 You can pick and choose like any keyboard, but this is SwiftKey – it's all about prediction. As you type, the keyboard will actually suggest emoji. Type 'pizza' and SwiftKey will suggest you drop a picture of pizza in there, because why not? 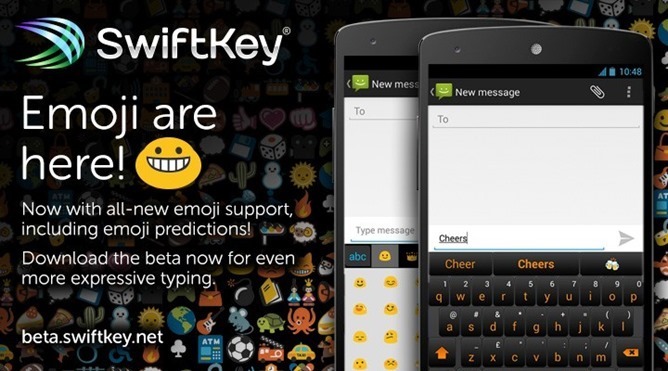 It also leverages your past usage to offer emoji on the fly. Keep in mind the emoji system font is white in Android 4.1-4.3, but colorized in 4.4. You can turn all this stuff off if you don't want to use emoji and hate fun. The number row is a bit buried in settings – go to the SwiftKey settings, then into Theme & Layout, and scroll down to the number row option. This turns on a number row in the top row of keys – you can probably figure out how that works. This beta build will probably reach the Play Store before too long, but you can check it out right now.